Some users of the iPhone X must have noticed that the ringer volume goes from loud to low. Oftentimes, the ringtone will sound very quiet and low after initially being on the loud side. In addition, pressing the volume up button also doesn’t seem to have any effect and the ringer doesn’t increase in volume and is stuck on quiet. However, there is no need to worry since this isn’t a technical glitch but instead just a feature. If you want your ringer volume to stay high for the duration of a call, then just continue to read for the right settings adjustments to put an end to this. The end result will be that the iPhone X sounds louder on incoming calls all the time and the iPhone X will stop quieting the ringtone. What actually causes this phenomenon is a Face ID feature. It even lowers sound volume even if Face ID is not being used on the iPhone X for unlocking or authentication purposes. The front camera keeps scanning and is active for other features besides unlocking, and this case is just like that. 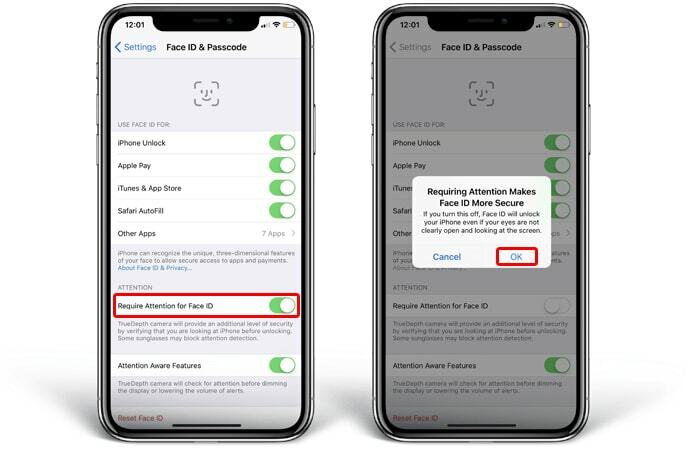 It is possible to disable this attention awareness feature which determines if you are looking at the iPhone X after scanning your face. This, in turn, lowers the ring volume. If this feature is turned off, the iPhone X will stop lowering the ring volume of calls when you pick up your device and look at it. Go to Settings from your iPhone X. Go to Face ID & Passcode. Find the Attention Aware Features option and toggle the switch to off. To test if it is working, just get an incoming call on your device and should remain loud and not quiet down to a low volume automatically as it did before. Another helpful step is to make sure that your iPhone ringer volume is turned all the way up to full, at the loudest possible settings. Go to Settings -> Sounds & Haptics. From the Ringer and Alerts section, just slide the volume indicator all the way to the right to set it at full volume. 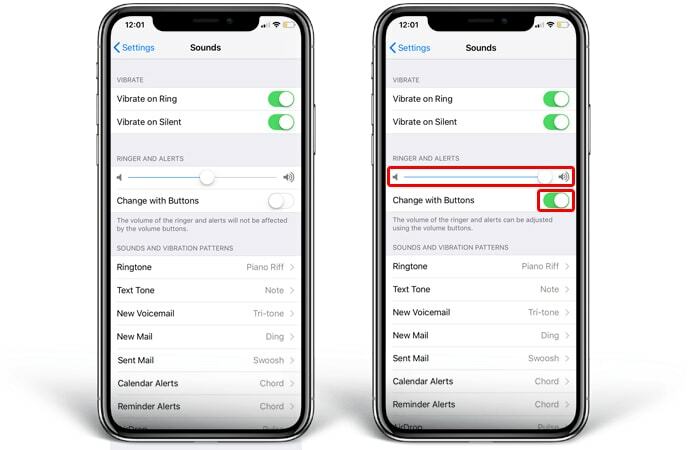 Additionally, there is the option to toggle the switch for Change with Buttons if you want to be able to adjust ringtone volume with physical buttons on the iPhone. Most people just turn this volume button adjustment feature off, because sometimes children fidget with the phone and can turn the volume low or off. So, now many iPhone models have this feature disabled by default. Other options to make sure are not enabled is the physical hardware mute button on the side of the iPhone. Also check for the Do Not Disturb to not be enabled, because this mode will cause the iPhone to not get any calls and not give off any sounds for notifications at all. 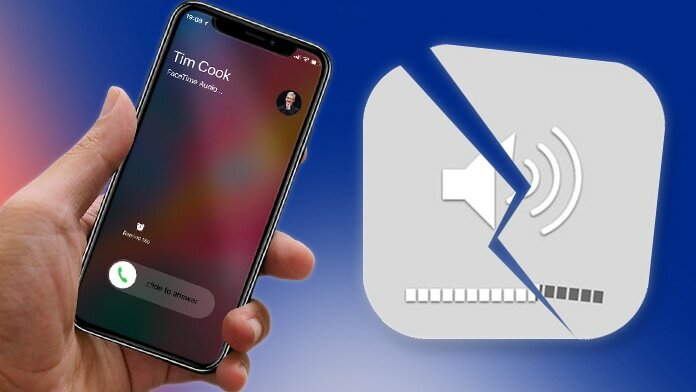 Also, bear in mind that if you press volume buttons while a call is incoming, it will mute all call sounds on the iPhone for just that specific phone call. This is a separate feature and very useful for when in meetings or when talking to someone. This is all there is to know and now your iPhone X should be ringing at maximum volume all the time. Let us know what you think in the comments section below!